United States Citizenship and Immigration Services (USCIS) once again received more H-1B visa petitions (for professional workers) from US employers than the limited supply allocated by Congress for fiscal year 2018. 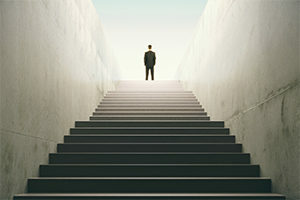 The agency reported receiving 199,000 petitions during the first five business days of April—37,000 fewer than last year—the first time in years that the number of petitions has fallen. The selection process was completed on April 11, but the agency did not announce by what date all accepted petition fee receipts would be issued, unselected cap-subject petitions returned with the uncashed filing fee checks, and approval notices for granted petitions sent. As in years past, USCIS will reject and return filing fees for all unselected petitions that are not duplicate filings. Last year, most returns were received by June. 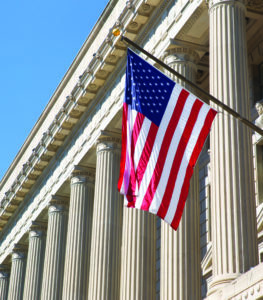 Congress authorizes USCIS to granted 65,000 H-1B visa petitions per fiscal year, plus an additional 20,000 petitions earmarked only for foreign nationals who earned a graduate degree from an American university. FY2018 starts October 1, 2017. For both of these quotas, the demand was greater than the supply, but USCIS has not provided a breakdown for each. The full text of the agency’s press release can be found at the USCIS website. Federal Law No 199-FZ on Amendments to Articles 18.10 and 18.15 of the Administrative Penal Code and the Federal Law on the Legal Status of Foreign Citizens in the Russian Federation of June 29.06.2015 (the “Amendment Law”) was published and entered into force on June 30, 2015.
within 7 days of entering Russia (if the name was changed or the new passport was received outside the Russian Federation). This will apply to most visa applications with effect from April 6, 2015 where the applicant is applying to stay in the UK for six months or more. The cost is £200 per applicant (£150 for Tier 4 students) per year of the visa and is payable at the time of making the initial application. For example, a five-year Tier 2 visa would have a National Health Surcharge of £1,000. If there are family members also coming in on the same visa it will be an additional £1,000 per family member. It is important to note that this surcharge will apply even if private medical care or insurance is in place. The surcharge does not apply to anyone applying for a visitor visa. However, non-EEA visitors will continue to be fully liable for the costs of any NHS treatment at the point they receive it. A number of applications are subject to a fee increase from April 6, 2015. 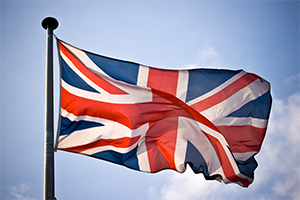 UKVI has published a list of Home Office Immigration & Nationality Charges 2015/16, which can be found here. Successful applicants will be issued a temporary 30-day visa running from their notified date of travel. On arrival in the UK they will have 10 days to collect, from a specified Post Office location, a Biometric Identity Document (BID) which contains their visa. It will be important for migrants to ensure they collect their BID within 10 days of arrival to avoid incurring a penalty charge of £125. This change is being phased in over several months from March 2015. Per-annum salary thresholds have been increased from between £300 and £1,800. This is good news in that it will (i) enable interns to be sponsored and brought back to the UK for a permanent job within a one-year period; and (ii) benefit global businesses that need to send employees to the UK for short time periods. UKVI has redesigned the visitor routes so that there are four: visitor (standard); visitor for marriage or civil partnerships; visitor for permitted paid engagements; and transit visitor. The change applies to all applications made on or after April 24, 2015. The visitor (standard) route consolidates the following existing routes: general, business, child, sport, entertainer, visitors for private medical treatment, visitors under the Approved Destination Status (ADS) Agreement with China, prospective entrepreneur, and visitors undertaking clinical attachments, the Professional and Linguistic Assessment Board (PLAB) test and the Objective Structured Clinical Examination (OSCE). Trinity College London (for customers applying in the UK only). IELTS SELT Consortia (for visa customers applying outside or inside the UK). Tests taken on or before April 5, 2015 with old providers will remain valid until November 5, 2015. 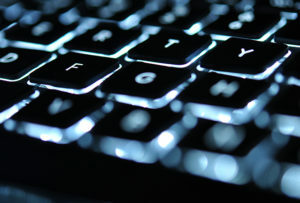 Tests taken with old providers from April 6 will not be acceptable with a visa application. Changes are being made to the Shortage Occupation List, following a partial review by the independent Migration Advisory Committee. Jobs on the list are exempt from the Resident Labour Market Test and are given higher priority within the Tier 2 (General) annual limit. The new list is valid from April 6, 2015. 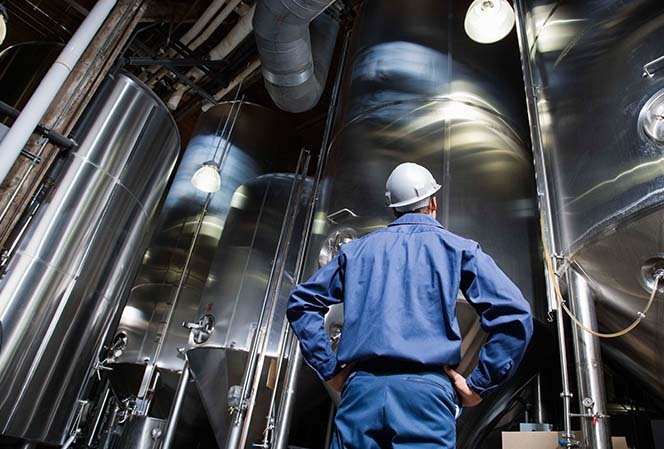 The list amends the applicable graduate occupations in the health sector, makes changes to roles in the energy industry and reclassifies some existing entries. 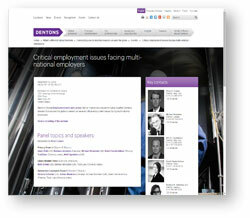 Last week Dentons held its program on employment issues facing multi-national companies. For your convenience, the program can be viewed in it’s entirety by visiting the event page. If you are interested in receiving additional information on Dentons’ Employment practice and/or have topic suggestions for future seminars, please contact Jennifer Gonzales-Frisbie, Business Development Manager, at jennifer.gonzales‑frisbie@dentons.com. We hope to see you at our next program. 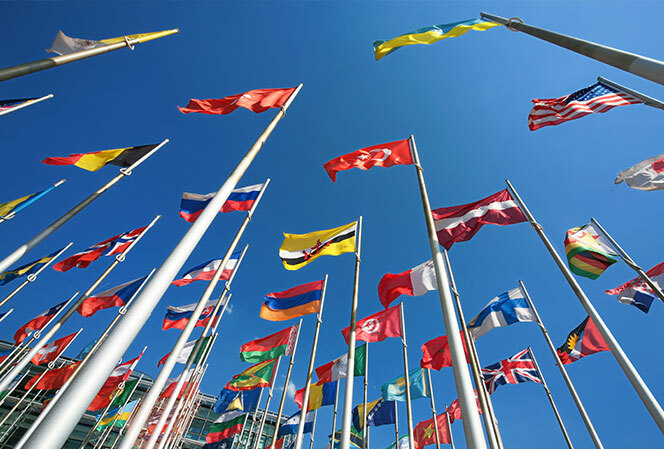 With one week left, click here to register for our CLE program on Critical Employment Issues Facing Multi-National Employers. 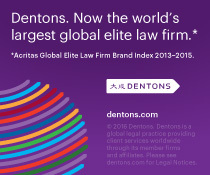 Dentons Global Employment and Labor group is pleased to invite you to an interactive program bringing together Dentons lawyers from around the globe to present on several critical employment issues facing multi-national employers. The three-panel program will be followed by networking cocktails where you will have an opportunity to mingle and connect with professionals in the industry. 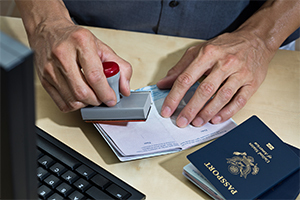 Effective November 12, 2014, the US and the PRC will both increase the validity of business, tourist, student and exchange visitor visas issued to each other’s citizens. Chinese business visitors and tourists may be issued multiple-entry B-1 and B-2 visas for up to 10 years. Students and exchange visitors and their accompanying family members will be eligible for F, M and J visas for multiple entry for up to 5 years or the length of their program. US citizens going to China for short-term business and tourism will also receive multiple-entry F and L visas for up to 10 years, while American students may receive X student visa residence permits for up to 5 years, depending on the length of their program. This change will facilitate business travel and decrease the time and cost that has been spent on more frequent visa renewals without any change in government processing fees. This change does not impact the length of authorized stay. Visas only authorize travel to another country and the immigration officer at the port of entry/airport inspection unit will determine the length of authorized stay. The US State Department announced on August 4 that most of the worldwide backlog of nonimmigrant visa cases have been resolved. The Department continues to prioritize immigration cases and are printing visas with very few delays, although system performance issues remain an issue and the Consular Consolidated Database is not yet back to full operational capacity. Visa applicants are advised they might still experience delays of up to one week in addition to normal processing times. 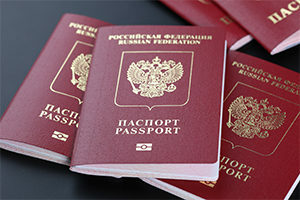 In late July, the Department announced technical problems with the passport and visa system. By July 27, immigrant visas were given high priority. The story was widely reported in major media, including many stories of the hardship caused to foreign workers at American companies who were unable to obtain visas to come to the US for work and other problems. On July 31, the government was still anticipating it would take weeks to resume full visa processing. The current reports are welcome news, but come with the warning that visa delays are still happening, just that the delays are shorter. 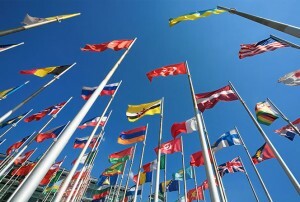 Employers and foreign employees seeking visas should take this into account when planning travel. It may be faster to delay scheduling an appointment at a consular post until the problem is fully resolved OR it may be important to schedule an appointment as early as possible to allow sufficient time for processing.